In order to fulfill our mission to engineer better environments, OLA strives to function as more than a business. We want to be part of a solution through a strong commitment to clients, employees, and the environment. 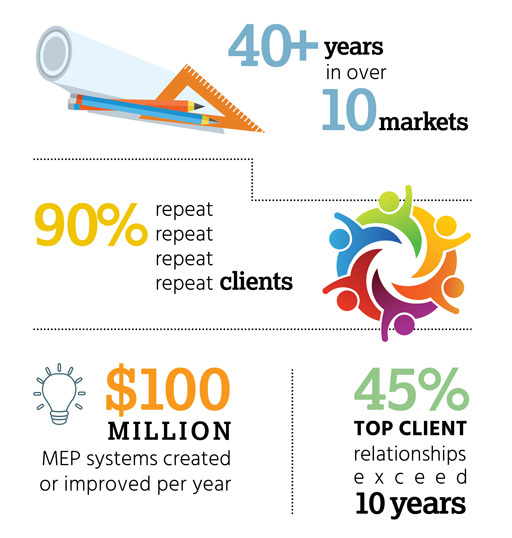 Our success and reputation are a direct result of the trusted client relationships established throughout our history. We start by proactively listening. OLA’s engineers begin a project with your vision and project concerns. With Principal involvement on every level, your questions are thoroughly answered, sustainability options are explored, and your project brought to life. Beyond engineers, we are consultants. We apply our expertise and experience to all roles and aspects of project delivery. From initial project concept and feasibility, through construction and commissioning, we’re on your side ensuring MEP systems and building operations are optimized to your needs. We believe our role as consulting engineers means we’re on your team. Excellent communicators, our engineers partner with you and all project trades to maintain project goals, schedule requirements, budgetary constraints, and design standards. One building, regardless of size, can catalyst change and inspire others to minimize impact on our environment. Expanding OLA’s energy conservation measures already in place since 1974, we continue to deepen our knowledge on sustainable design principles as new education and technology furthers the sustainability movement. Our team attended the first USGBC GreenBuild conference in 2001 and soon after, our first engineer became LEED AP. Today, our staff credentials include LEED Accredited Professionals, Certified Energy Managers, Commissioning Process Management Professionals, Certified Commissioning Providers, Qualified Commissioning Providers. 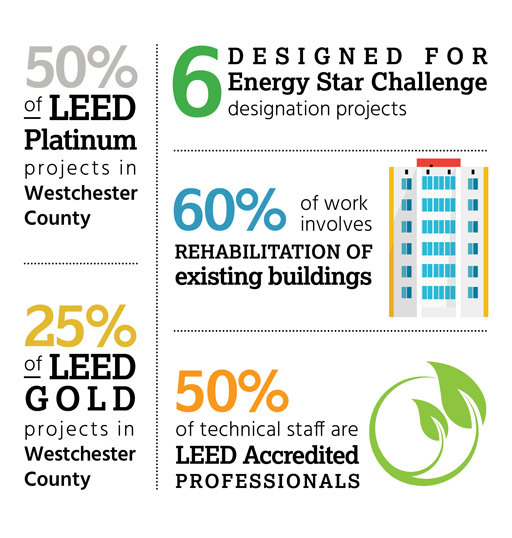 Steady growth resulted in an energy services team with experience in all aspects of whole building analysis, energy modeling, energy audits, LEED green building certification, and commissioning. OLA’s team believes in applying our knowledge and experience to all buildings whether we are the design engineer, energy consultant, or commissioning authority. OLA fully supports employees on a career path that provides opportunities for advancement while engineering ground-breaking projects they are proud to stand behind. The OLA team mentality begins with the language of “we.” We know engaging the experience of our peers offers the potential to exceed our own expectations. Our senior staff mentors young engineers and consistent peer level review provides a well-managed process to avoid the last minute production crunch. Motivating all engineers to obtain P.E. status, we stress the benefits and importance of professional licensure. All employees participate in accredited training programs, in-house seminars and workshops, professional organizations, and national conferences. As a result, OLA’s mechanical, electrical, and energy engineers are consistently current in updated codes, requirements, and technology. Our engineers are empowered to establish an industry presence by participating in the community and becoming part of professional organizations. Partaking in both engineering and business professional societies aides in the expansion of industry knowledge while igniting inspiration with colleagues and peers.